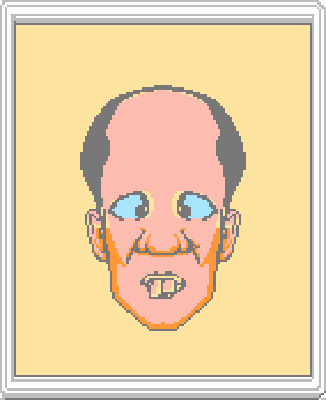 Start the Facemaker II - The Ultra Genesis video game! 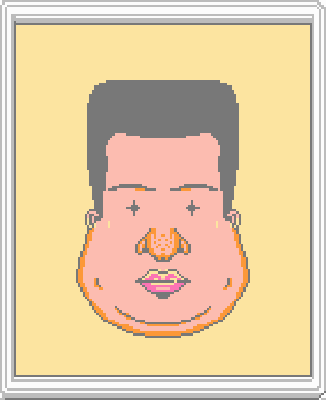 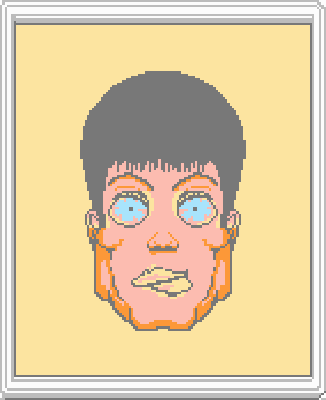 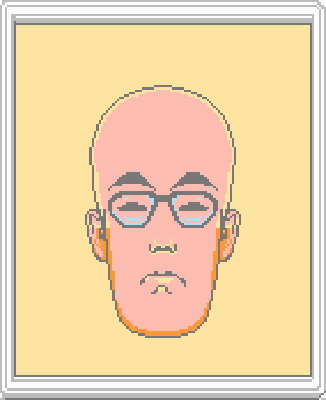 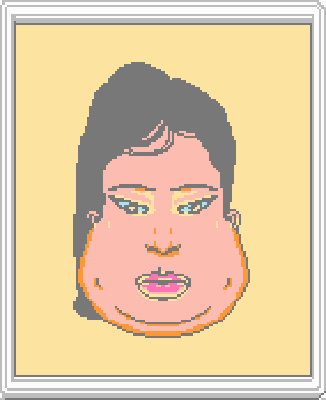 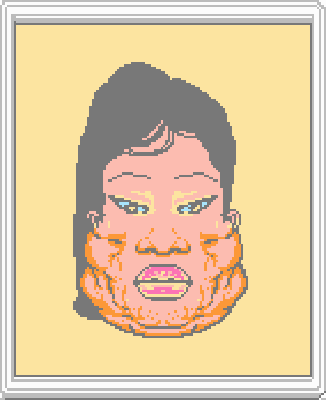 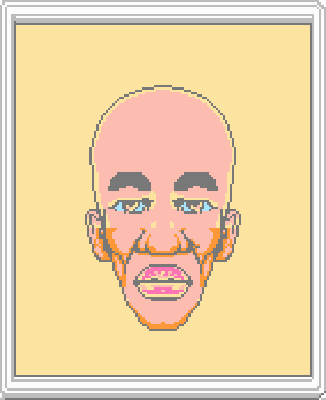 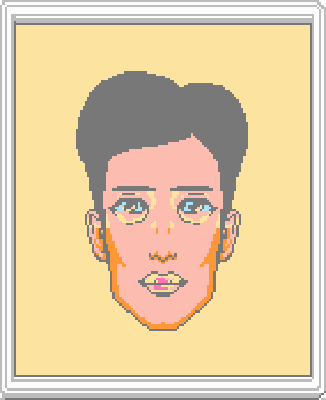 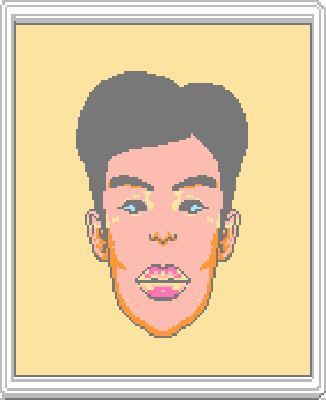 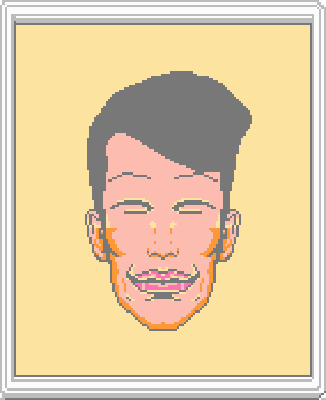 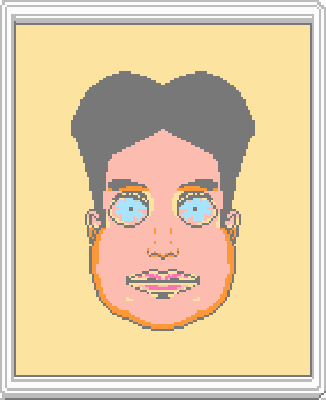 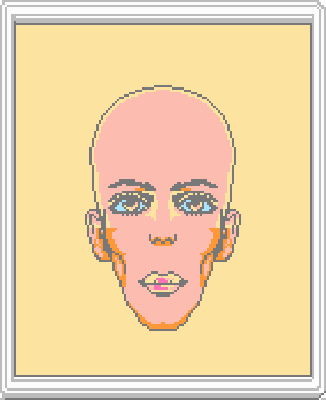 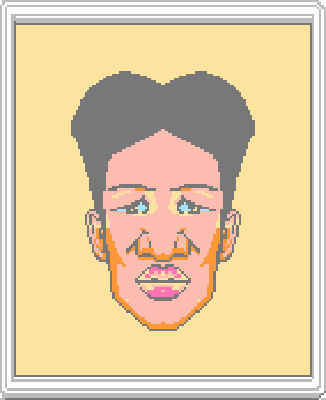 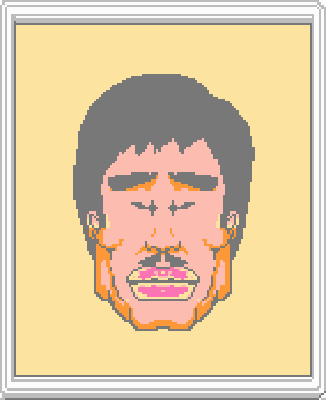 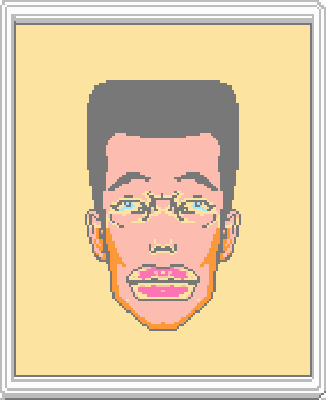 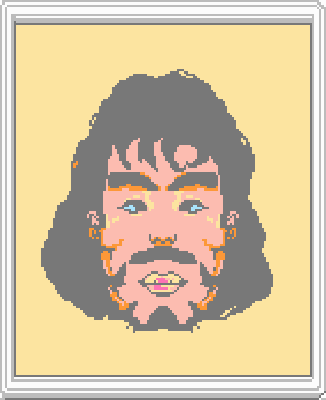 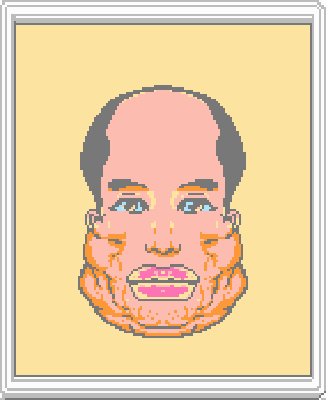 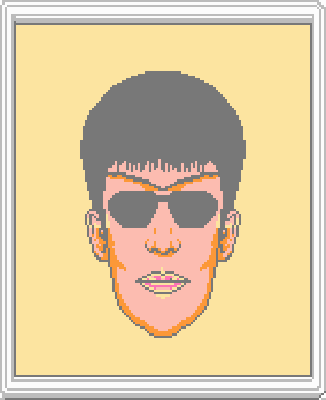 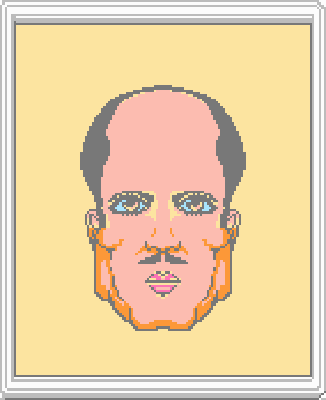 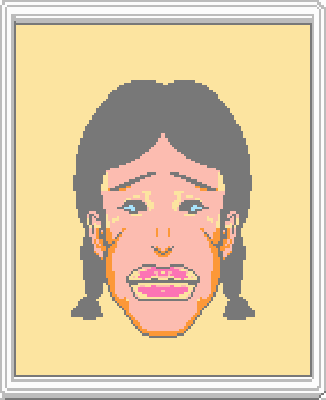 This animated browser game was made using generative portraits from the classic NES (Nintendo Entertainment System) game "Facemaker". 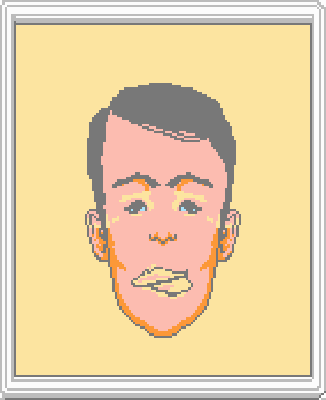 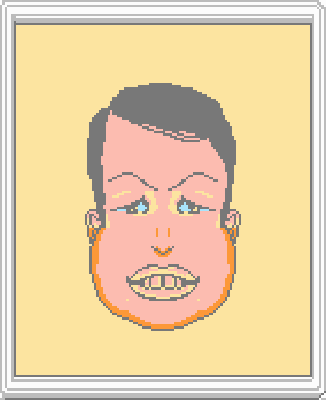 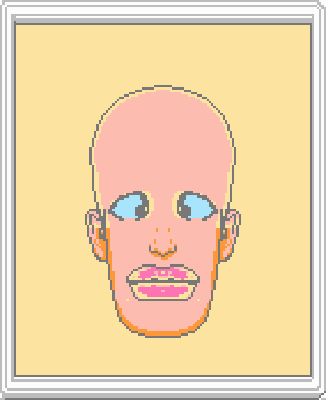 Its a game from the 1980's where you build funny faces from just a few preset choices. 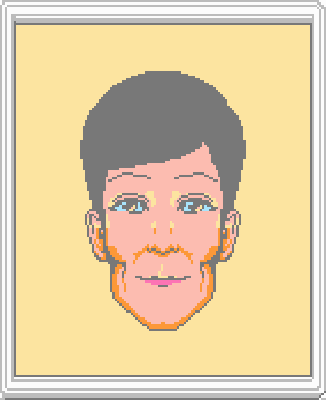 Throughout the game there is a song which loops infinitely, and it has about 42 notes in the melody. 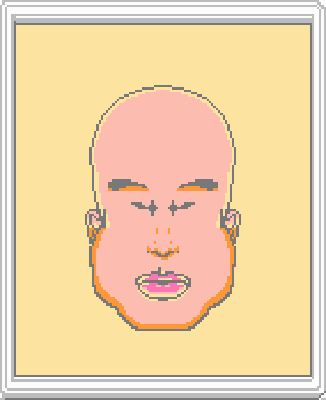 Using this face system facility as a starting point, I procedurally generated 42 random faces out of a possible 271,724,544. 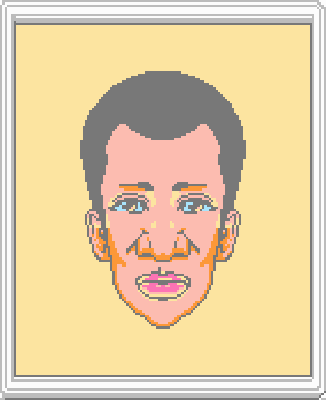 These were then overlayed onto the melody to create a simple Flash animation loop. 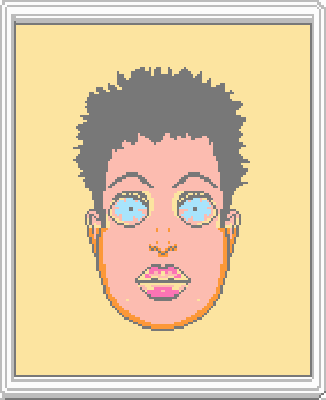 But in the browser the animation divides when clicked, continuing as such to a level where it crashes my computer (in 2004). Facemaker II was made from video game emulator screenshots, a technique I had used years earlier in my miniarcade.com website project. 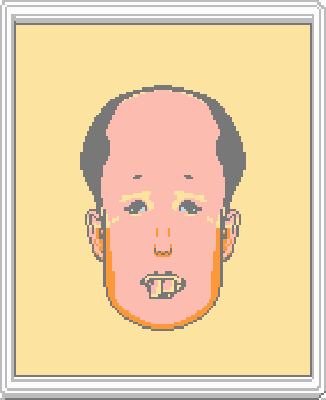 Warning: there may or may not be anything fun about this game.